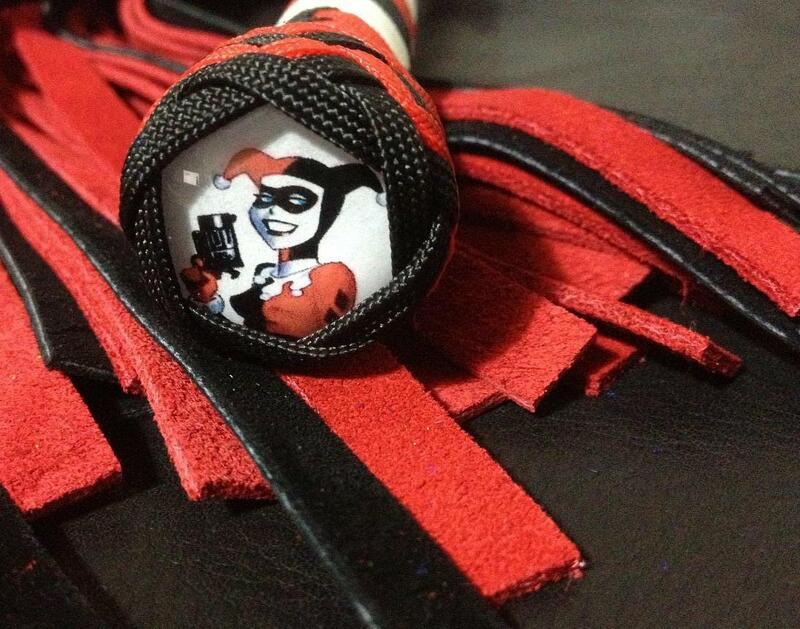 A large flogger with generous 12 inch oak handle, coloured in Harley Quinn’s signature red, black and white. We have finished this striking flogger with a glass character concho featuring Harley Quinn herself. Matching whip available here, or why not grab ‘The Joker’ to make a set?